Exclusively available in The Netherlands at TopVintage! 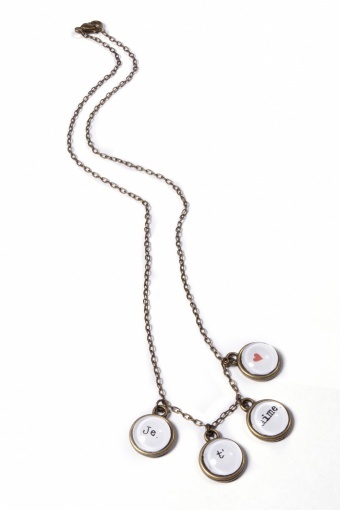 Handmade vintage inspired droplet necklace Je T'aime dJe t'aime from Coucou Heart. Je T'aime, mon amour! 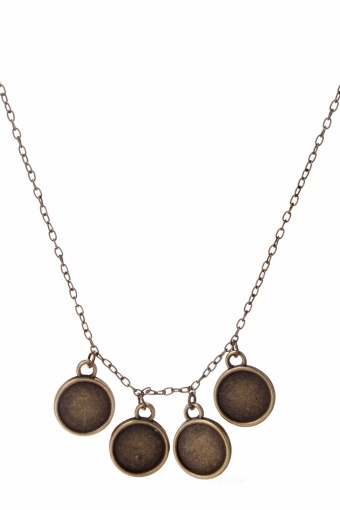 This charming sentiment, in vintage style type, has been set into antique brass tone pendant settings, and covered with shiny glass domes. Very pretty and vintagey.